In this episode, Alex and Jared chat with Matt Cipolla of CrossFit Los Angeles and The Mastery Method about coaching, programming and how to improve in all areas. If you happened to hear Kenny Kane on Barbell Shrugged (http://daily.barbellshrugged.com/programming-for-crossfit-classes-w-kenny-kane-of-crossfit-la/) back in May of 2015 talking about the importance of context when programming and coaching CrossFit classes or just fitness in general, then this episode is NOT TO BE MISSED. Matt Cipolla is Kenny’s right-hand man as it pertains to The Mastery Method, aka Context Coaching. 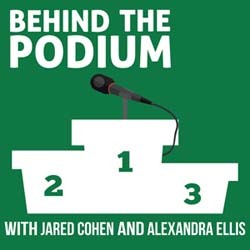 For references of everything we mention in this episode, head over to http://behindthepodiumpodcast.com/.